For those times when you just can’t handle the hotel check-in stop between landing at your private airport and basking in the sun and fun on Lake Tahoe. 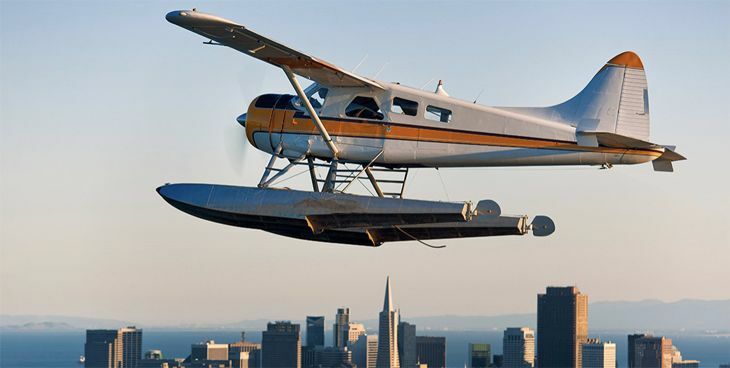 Now the only AAA Five Diamond resort in the region, The Ritz-Carlton, Lake Tahoe, will allow guests to fly from Blackbird Air‘s convenient Bay Area locations of Palo Alto and Sausalito directly to its new Lake Club, located on the North Shore. That’s right, for these lucky private jetsetters, al fresco dining, leisure and water activities, and direct access to Lake Tahoe are almost instantly available. After the day on the lake, guests can be transported in luxury mini buses to The Ritz-Carlton, Lake Tahoe to enjoy the actual mountain retreat. Of course, for guests looking to go straight to the resort, Blackbird Air also offers a standard private airline from its Bay Area airports to Truckee Airport, only seven miles from The Ritz-Carlton, Lake Tahoe. But you have to admit that having the ability to step out of a seaplane and onto the dock of the resort’s Lake Club elevates your already exciting summer vacation on the lake to a truly extraordinary one.